Lasting quality does not stop at the grill. Preserve your Lion built-in gas grill with this 32-inch black grill cover. A grill cover will greatly extend the life of your grill, and allows you to get the most out of your investment with Lion. Quick delivery once order was placed. The first time I took it off the grill, it tore on the side. I have only had it on my grill for less than a month and the black is fading to a purple grey. I would not recommend this product. There are so many great, sun resistant fabrics out there. Why didn't Lion use one of them??? 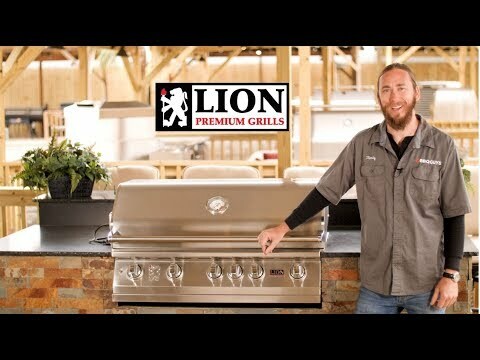 I received the grill package with my new Lion built in grill. The grill cover turned gray almost instantly in the sun. Terrible quality. Looks bad. It also lost its shape and no longer will stay on if its a windy day. I have a big outdoor kitchen and this looks really bad.